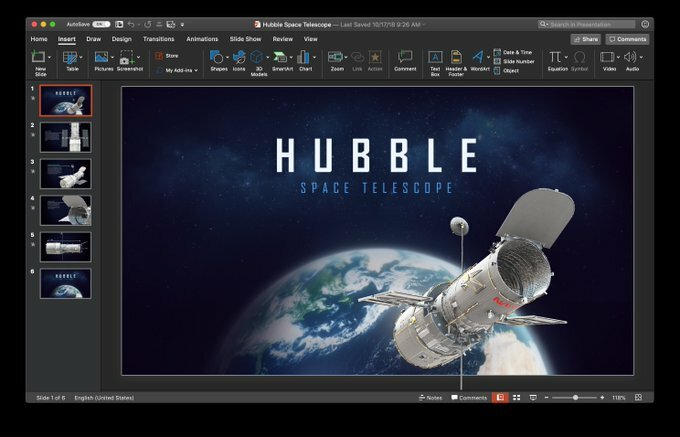 Tuesday saw an update for the Microsoft Office for Mac productivity suite of apps. Word, Excel, PowerPoint, and Outlook now all support Dark Mode on macOS Mojave, and have added several other new features. The updates are free to both Office 365 subscribers and to customers who purchased Office 2019 for Mac as a one-time purchase. The update was announced on Twitter by Derek Snook, a developer for the Mac version of Microsoft Office. See who’s coming to the meeting:Click any meeting or event in your calendar to see who plans to be there. To update your Microsoft Office for Mac installation, use the Microsoft AutoUpdate mechanism by navigating to “Help” -> “Check for Updates” in any of the apps.